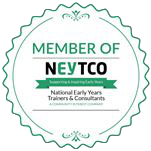 We know from experience that high quality childcare is a great starting point to running a successful and profitable early years business. So, we designed Prism to make childcare smarter and easier for the three main partners in a child’s development: parents, practitioners and managers. Practitioners use touchscreen PCs and mobiles devices to record EYFS observations* and chart a child’s development. They can instantly access information about a child’s progress and see how best to support them in their learning journey. Activities such as registers, food eaten and nappy changes and are all recorded at the touch of a button, so all the inefficiency is removed from the everyday administrative tasks – with no paperwork necessary! This means practitioners can spend more time supporting children to reach their potential. * Other quality assurance frameworks can also be integrated. Managers receive all the information they need in easy-to-read dashboard displays and in a variety of reports that mean they can make effective decisions with confidence. Data is presented in real-time on everything from child development trends, financial performance, staff performance and more. This means they can see exactly what’s happening on the floor at any given moment and makes it easy for managers to decide how best to direct their resources. Prism also automates all the every day administrative tasks, such as generating invoices (even when there are multiple bill payers and children receiving free childcare), freeing managers up to focus on improving quality and business performance. Parents receive automatically generated daily diaries which describe all the exciting activities their child has taken part in. They can also log on through a dedicated Parent Portal to find out more about their child’s learning journey, leave messages and manage their account and billing. This means parents are more engaged than ever before and gives them confidence in the quality of care their child receives. Prism uses cloud technology to enable you to see exactly what is happening in your early years setting, wherever you are in the world. All the data staff collect can be shared in real-time across multiple sites, allowing you to manage confidently and effectively even when working remotely. Each of our client’s have their own database server with data stored securely on Microsoft’s Azure cloud. This means that you get all the benefits of an enterprise-class data centre included as part of our cost, including: round-the-clock access to your data, multiple backups and no need to buy your own expensive server equipment. To give you added peace of mind, Prism has a number of its own in-built security features. Each member of staff has a unique ID and login – with customisable user permissions that enable you to choose what data you want individuals to see. Furthermore, any browser used to access Prism must first be approved using your nominated desktop machine and approval can be rescinded at any time. This all means that you have total control over who accesses your data. For more information on Prism’s security features and our hosting service, please get in touch with one of our IT experts.